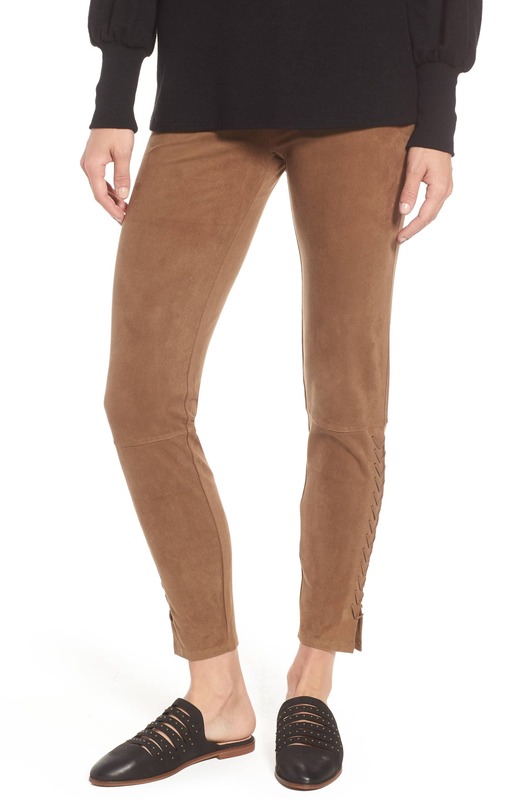 We Love That These Faux Suede Leggings Look Just Like Trousers and They’re on Sale! Just when you think you own enough leggings, another pair pops up to further diversify your collection! Besides, you can never have too many, right? The Shop With Us crew spotted a comfy pair of going out leggings that may be the coolest style we’ve seen all year. You’re going to want to wear these beauties to work, on dates and everywhere in between! Go ahead and toss the Lyssé Mission Faux Suede Leggings into your cart because they are certainly a must-have and look just like trousers! The polyester/spandex fabric takes on the appearance of suede. If you love the idea of faux suede leggings, but prefer a color other than brown, then the bottoms also come in this black option. Wear these leggings all fall long with any of your favorite sweaters and T-shirts! Sizes range from extra-small to extra-large. Shoppers who already own the leggings noted that run true to size, so feel free to order based on the size chart. They also raved about the unique side stitching since most leggings usually only feature a print or mesh detail. The majority of reviewers shared that they ordered the brown version. See it: Grab these Lyssé Mission Faux Suede Leggings for $70.80, which is 40 percent off the original $118 price!